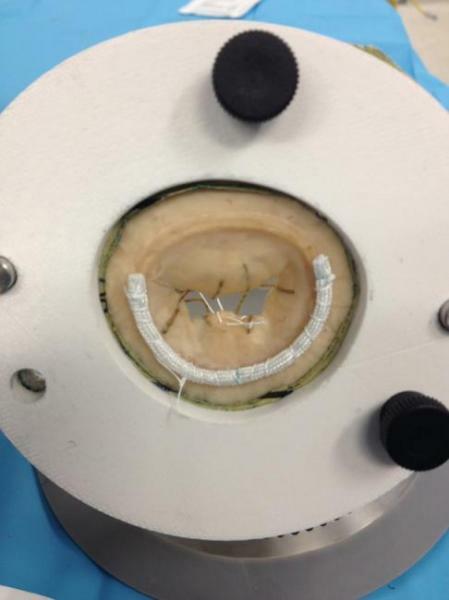 The Mitral Valve feels, cuts, sutures, and behaves like real live tissue. The Mitral Valve prolapse with anterior and posterior leaflet prolapse A2/P2 with a torn chordae tendinae at P2 for open, minimally invasive and robotics mitral valve repair training. 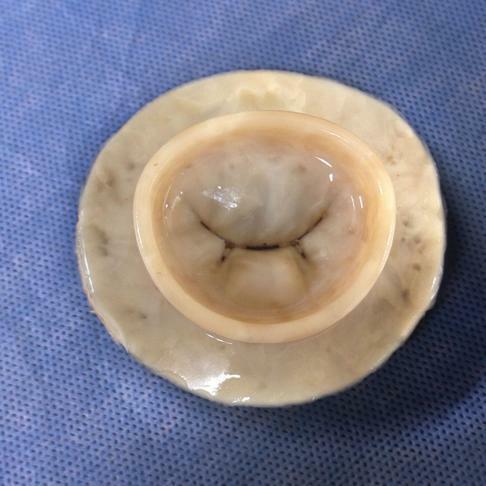 The mitral valve prolapse comes alone, or with papillary muscles and chordae with the same tactile and mechanical properties of a real tissue for a very realistic open, minimally ivasize or robotic mitral valve repair or replacement training. The valve needs to be secured using the adjustable Mitral Valve Base that secures both the valve and the papillary muscles/chordae. Use valve to conduct multiple repairs: valvuloplasty: anterior leaflet repair, posterior leaflet repair, neochord placement, and annuloplasty band or ring. Tissue conforms to the shape of the ring like real tissue. Price: $89.00 – $2,425.00 (sold individually, 10 Pack, 20 Pack).